Easter is almost here, however you don't have to forfeit your weight loss goals when you can have your chocolate and eat it too! Lose 7+ kg in the next 3 weeks, starting with 2 FULL DAYS OF FAT LOADING, where you can eat chocolate till your hearts content. 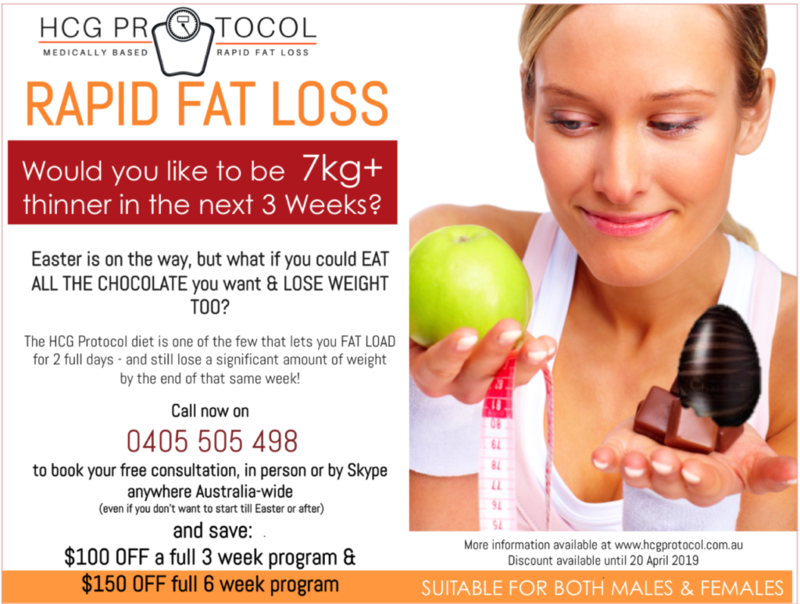 Book now for your obligation free consultation and save $100 OFF 3 week programs and $150 OFF 6 Week programs (or if you are not ready to start quite yet, simply pre-pay by 20 April to secure your discount). Discount offer available till 20 April 2019. Not available with any other offers. Get it NOW & PAY LATER - with our "ZERO INTEREST" low cost finance option. Quick and easy & approval in 24 hours or less. For more information click the PayRight logo. 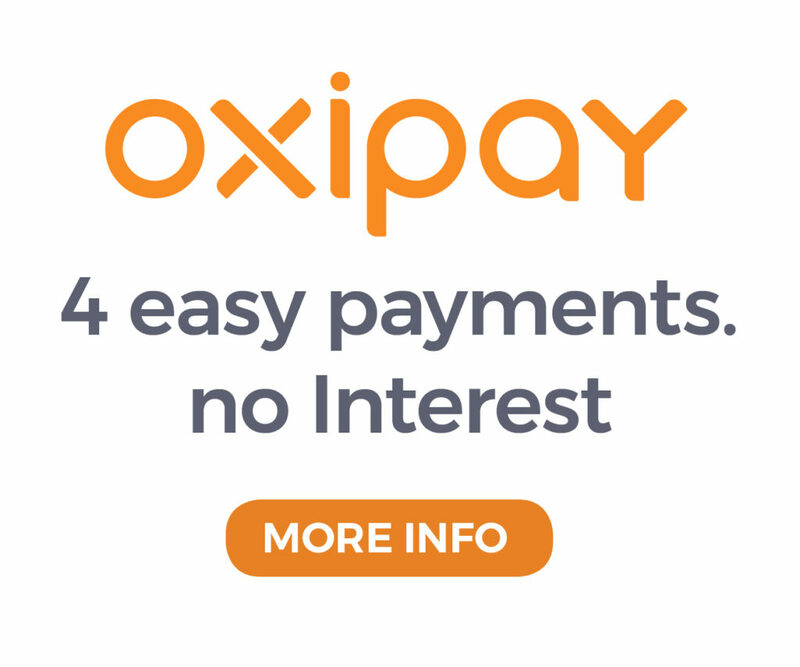 Or Pay in 4 equal fortnightly instalments, with OxiPay. Want to save $100 off the price of a full 3 week program, or $150 off a 6 week program? 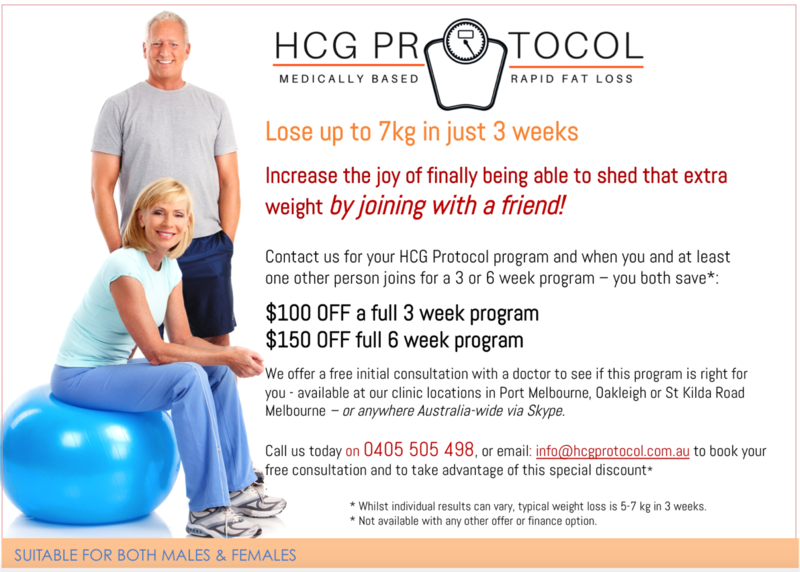 All you need to do is join HCG Protocol for a 3 or 6 week program along with a friend, or partner, or brother, sister, mother, father, aunty, uncle, grandmother, son, daughter, work colleague.......have we missed anyone..... and you will all get the discount off the normal full price. Ph: 0405 505 498 or Contact Us via our email form to book your free consultation. 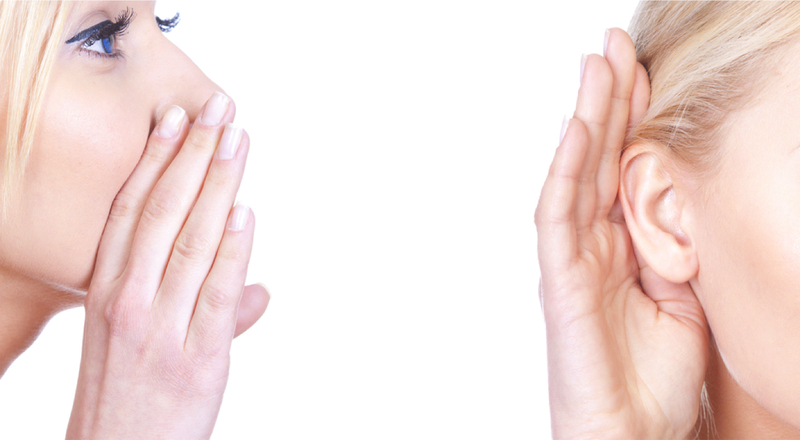 Alternatively, simply complete an Evaluation Form and a consultant will contact with you directly. *No expiry date, however, not available with any other offer. Not available with finance option. If you are a business who has clients who would benefit from our program, please Contact Us - telling us al little about your company and we will have one of our consultants contact you with further details of how you can also benefit.